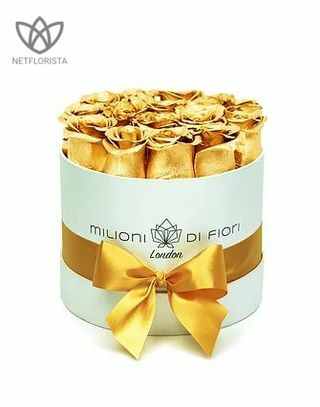 £3 coupon for first order "NETFLO"
Valentine’s Day is a festival of love, when lovers exchange flowers, chocolates, cards, and spend time together. 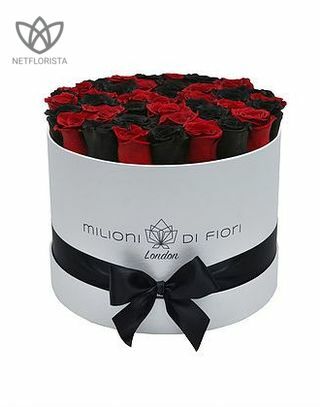 We at Netflorista are devoted fans of this holiday and really enjoyed browsing our product range to pick our favorites. 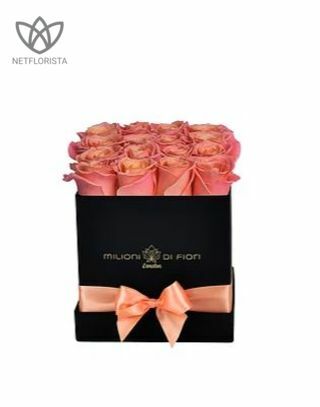 Here are the best ideas for those who are searching for the perfect surprise for their loved one. 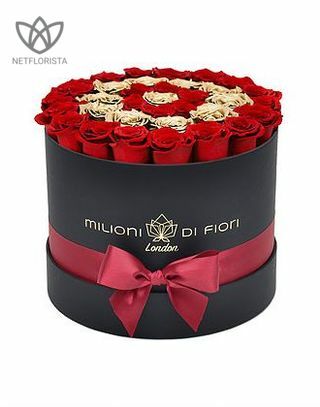 A box filled with red roses will help you express your feelings without words. If you want to surprise your beloved with a unique gift on February 14, try this sophisticated mix of delicious macarons and bright flowers. 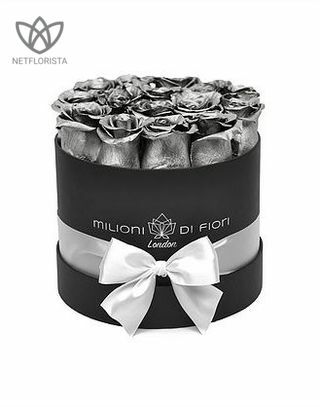 These eternal roses, locked inside a box, will keep on blooming for years to come. 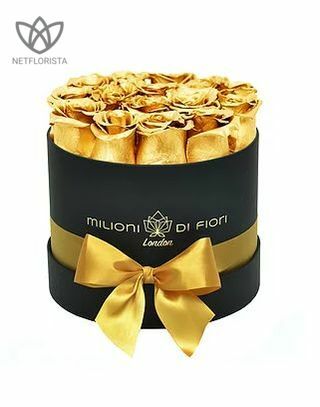 If your love has a sweet tooth, surprise them with a box filled to the brim with sweets. Perfect for those who want to give a playful gift. Bring a bit of spring to your beloved’s day with a bouquet of tulips. Filled with heart shaped confetti, these balloons are joyful Valentine’s Day gifts. A single rose under a bell-glass is a gift straight out of a fairy-tale. 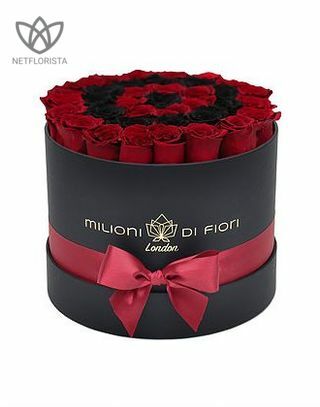 Surprise your Valentine with an exclusive box of luxurious items. 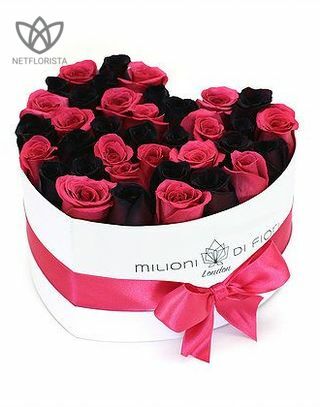 This not so usual bouquet is a great choice for someone who likes extraordinary things.